My skin feels so dry this winter and I’m looking to find a new face moisturizer that not only works well but also feels good on my skin and absorbs easily. I’m pretty sensitive to fragrances and don’t like anything too perfumey. What products do you recommend? SK-II has a special scientifically proven moisturizing ingredient called Pitera, made of a fermented yeast that produces a unique blend of vitamins, amino acids, minerals and organic acids. This “secret key” (SK) ingredient was discovered in Japan at a sake brewery–the older people who worked there had mysteriously beautiful, age defied hands as a result of regularly immersing them in a similar fermented yeast mixture. I have been using this product for over ten years and really believe in it. The list of celebrity clients who use SK-II to keep their skin looking ageless is rather lengthy, and Cate Blanchett was a fan long before she became the brand’s ambassador. Vbeauté is one of the best new skincare lines that was recently launched by Vogue It girl, stylish socialite and mom, Julie Macklowe. Teaming up with the top molecular biologists, Julie developed special formulas that include rare botanicals and focus heavily on preventing the onslaught of aging. The Everyday Créme is light but moisturizes intensely and can be used for day or night. The fragrance-free formula feels great on the face and is perfect for anyone who has sensitive skin looking to try a new “tried and true” anti-aging product. 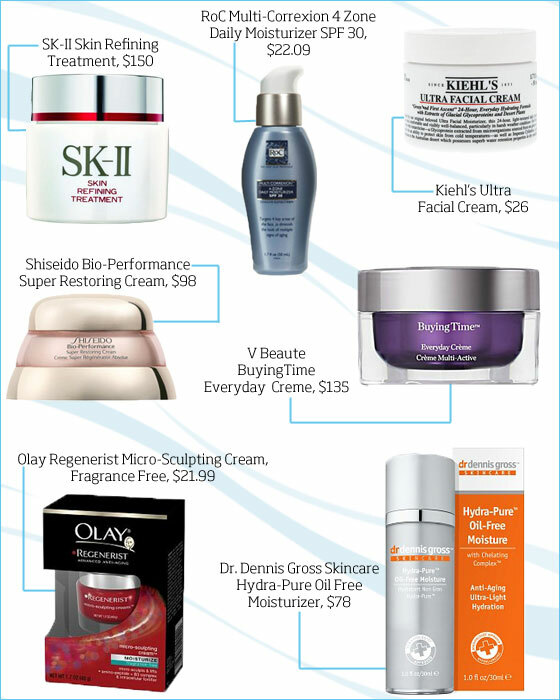 A list of the best face creams wouldn’t be complete without Shiseido’s Bio-Performance. This pink hued formula in a tub boasts a patent-pending blend of ingredients which boosts skin elasticity and promotes moisture retention. It feels super luxurious on the skin and yet has impeccable firming capabilities all at the same time. I use it nightly and also before I do any outdoor activities like skiing or running- it’s great for preventing wind burn. This cream is like nothing I’ve ever used or felt before–it has a very special texture that is super nourishing on the skin!